Discussions about social justice imply discussions about higher education. After all, a whole set of literature has illustrated how ethnic minority students face all types of difficulties to become successful at college level. In line with this literature, the present research offers a case study of one Flemish University nested in a growing superdiverse environment. 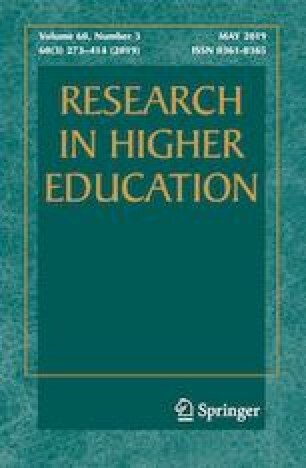 Based on unique administration data of four consecutive cohorts of first-year students, differences in academic attainment between ethnic minority and native students are examined. Through a two-step estimation strategy (i.c. linear regression and Blinder–Oaxaca decomposition) of five different groups (i.c. native students; Dutch students; EU students; Turkish and Moroccan students; and other non-EU students) we find that ethnic minority students do not enter higher education on the same conditions as natives. Ethnic minority students have significantly lower academic attainment than native students, after controlling for important pre-entry characteristics. Oaxaca–Blinder decompositions show that, while disparities between ethnic groups exist, differences in type of secondary education, parental education and first language learned as a child play a significant role in explaining the academic attainment gap. The pre-entry characteristics, however, explain only half of the attainment gap. Other research will have to clarify what type of factors can offer further explanation. See Tables 1, 2, 3, and 4.